Graduated from Florences Academy of Music in 1992 and subsequently studied under P. Thibaud, Luca Marzana and Emanuele Antoniucci. In 1999, he received his degree in Philosophy at the University of Florence. He is one of the founding members of Timet, a 10-year collaboration that led to his contribution as a performer and composer on several of the group-s highly original works. Since that time, he has delved further into composition, musical analysis and improvisation, also evidenced in his musical contributions to the fields of dance (Giorgio Rossi - Sosta Palmizi, Raffaella Giordano - Sosta Palmizi, Simone Sandroni - Dejadonne), theatre (compose original soundtrack music for No Man's Land, directed by Massimo Luconi) Fernando Maraghini, poetry (Giancarlo Majorino), and cinema (soundtrack music for "Anche le donne hanno perso la guerra" directed by Carlo Bolli for Rai Sat network). 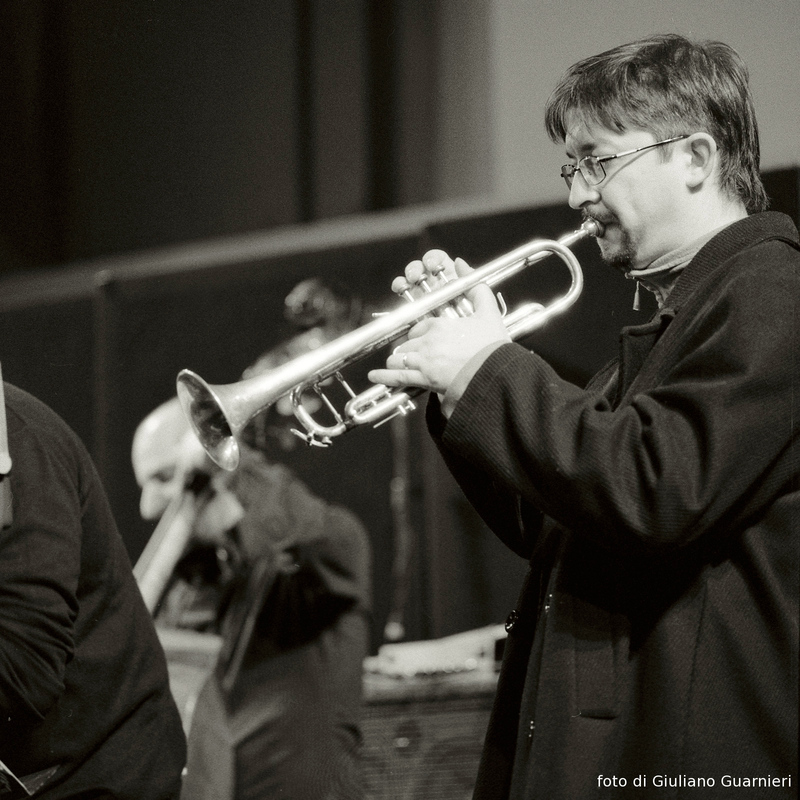 In 2005 he founded with Alessio Pisani the GRIM-Italy (Musical Improvisation Reserch Group). Compose the original music of "Il dolore" di Marguerite Duras, with Mariangela Melato, director Massimo Luconi. He has worked with many contemporary and classical artists, among them Giorgio Gaber, Irene Grandi, Massimo Altomare, Massimo Melani, Marco Parente, Andrea Chimenti, Ares Tavolazzi, Stefano Bollani, Stefano Battaglia, Mirko Guerrini, Monica Demuru, Giuseppe Mangione, Andrea De Luca, Zeena Parkins, Frank Shulte, Werner Puntigam, Italian Young Orchestra, Bruno De Franceschi, Fulvio Caldini, Maurizio Ben Omar, Oliviero Lacagnina, Tonino Miano, Vinko Globocar, Eliott Sharp, Alessio Pisani, Lorenzo Brusci, Giacomo Bonciolini, Claudio Lugo.